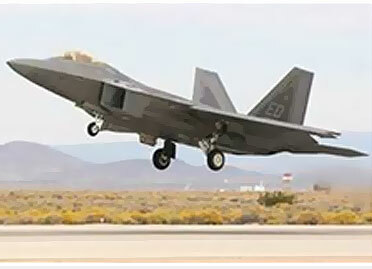 The F-22 Relocation Project at Edwards AFB was a fast-track Design-Build reconstruction of six existing structures and one new structure totaling 177,000 SF, along with associated site work paving, haz mat and excavation of contaminated soil, parking lots and roadway, as well as removal of lead and asbestos-containing material and toxic waste. Two of the structures are Hangars which house aircraft, administrative, Computer Centers and Shop areas. The final structure is a newly constructed Maintenance Shop/Warehouse. The interiors of all buildings were reconfigured to meet the Users needs as dictated by the Test Wing mission. The interiors of the existing administrative and warehouse/shop spaces were demolished and replaced by new, reconfigured spaces. This included new doors and AT/FP compliant windows, ceiling tiles and grid, paint, HVAC, lighting, plumbing, electrical (including three 480-volt station service switchgear and transformers), repair/replace fire suppression system, flooring, fire alarm and PA system. Due to high security, no photos are available for this project.